Some years back while working as a bureau reporter for the Times Herald, a Gannett-owned daily newspaper published at Port Huron, Michigan, I caused somewhat of a sensation when I chanced upon a genuine ghost story at a place called Forester. Forester has been an unincorporated community along the Lake Huron coast in Sanilac County, about 60 miles north of Port Huron. The place once knew a bit of glory as a major lumber port that boasted a general store, a hotel, a tavern, post office church and cluster of private homes. 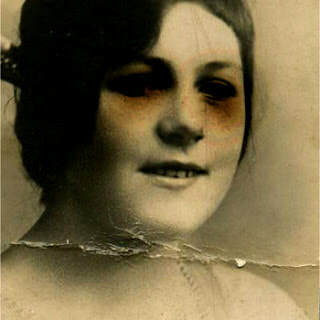 Possibly because I was getting a reputation as a local historical researcher and writer, I received a telephone call one day from a Mrs. Harry Shaw, an elderly widow and the only surviving descendant of the family of James and Mary Ann Quay. She said she had a ghost story she wanted to share. Mrs. Shaw said the house was about as old as Forester, was built by the Quay family, and had served over the years as a hotel, stage coach stop, post office and originally the home of James and Mary Ann Quay and their daughter, Minnie. When Minnie Quay was about 16, she took up with a young sailor who arrived at Forester regularly on one of the many steamships that came to load lumber, barrels of fish, bring supplies to the general store, and carry passengers traveling up and down the coast. Travel on the old dirt roads in those days was slow and not as comfortable as it was on the boats. That their daughter had apparently fallen in love with a vagabond sailor was not welcome news for the Quay family. Minnie’s mother went to great lengths to break up the romance, first forbidding the girl from having anything more to do with him. And when this failed, the restrictions became more severe. Mrs. Shaw took me to the second floor to show me the master bedroom through which we passed to find a second and smaller bedroom that could only be entered through the master bedroom. She said Minnie was locked in that small second bedroom the next time the boat on which her boyfriend worked made port. The ship sailed away that fateful week and never returned. The vessel was caught in a storm and was lost with all hands. As the story was told, young Minnie Quay was so distraught over the news and the fact that her mother had prevented her from seeing her lover off for that final trip, she walked off into Lake Huron and drowned herself. After that, people told of seeing the apparition of a young woman in a flowing white dress walking the beach. Some said they sometimes could even hear a strange wailing sound as the ghostly figure passed. That was the public story. Mrs. Shaw said the Quay House also was quite haunted after Minnie died. She told of pottery flying off shelves and smashing on the floor for no obvious reason. On one occasion she said she had a vacuum plugged into the wall and was preparing to sweep when the machine turned itself on. Mrs. Shaw also told of swinging lights, strange sounds and other evidence that a very angry ghost was sharing that old house where she lived alone. After talking to Mrs. Shaw and several local residents who substantiated her story and added reports of seeing and hearing the ghostly apparition that haunted not only the beach but the town cemetery, I had a great ghost story that gained a lot of attention after my newspaper published it. It was not long before the Detroit newspapers picked up the story. And that caused more publicity than the people of Forester wanted. Suddenly the entire congregation of a Detroit church arrived in town on a bus with plans to conduct an exorcism in the cemetery. There was an infamous Detroit witch known as Gwendella who also got involved in this story although I don’t recall just how she fit in. Gwendella later published a book of Michigan ghost stories that included the Forester story. If I remember correctly, the Sanilac County sheriff was sent to Forester to police the cemetery and prevent that group of Bible thumping loonies from getting anywhere near Minnie Quay’s grave. As far as I know, the girl’s ghost may still be a part of the local legend. But the story is getting somewhat distorted. I read a more recent report by another Times Herald reporter who was told that Minnie was only 14 at the time she killed herself. The story quoted a local resident as saying the ghost story was a hoax designed to bring tour buses of people into town from Detroit, all hoping to catch sign of the ghost. They bought food and drink at the local tavern. That wasn’t the way it was.